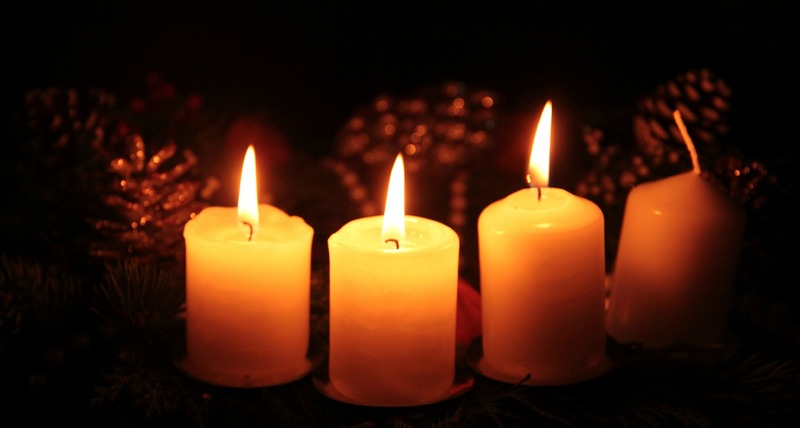 Here’s my last one for this year’s Advent Devotions- hope that you enjoyed them! Joseph is my “silent hero” of the Christmas drama. Without a word of his being recorded in Scripture, his actions alone speak. They tell us that, as a man of both character and compassion, he chose not to humiliate Mary for a pregnancy that he knew was not his. Imagine his confusion and heartbreak before the angel’s visit! We see him safeguarding Mary through the difficult journey from Nazareth to Bethlehem. His obedience to the law in dedicating Jesus at the temple. His protection of his family during a sojourn in Egypt where they lived as refugees. Yes, Joseph was entrusted with a difficult calling. A quiet, comfortable life gave way to a suspenseful, demanding saga. We don’t know how Joseph felt about his mission, but we do know what he did. He obeyed. Like his wife, Mary, Joseph modeled an attitude that said, “I am the Lord’s servant.” And look at what God can do with that simple posture. Just imagine what He might want to do with you. How willing are you to adopt an attitude like that of Joseph and Mary? What might get in the way? What do you like most about Joseph and Mary? What would you want to imitate about them? to us a son is given, and the government will be on his shoulders. This passage contains what may be my favorite verse in all Scripture. “For to us a child is born, to us a son is given.” Let those words linger in your heart for a moment. To us a child is born. Jesus was born in the most humble circumstances, among weary, hope-starved people. His birth attended by cattle and perhaps a curious sheep or two. To us a son is given. The Hope of all the world spent His first night in a feeding trough. To us a child. All-powerful God clothed in the helplessness of fragile infancy. Entrusted to teenagers. To us a son. The Prince of Peace became a refugee before his second birthday. To us. The King of Kings in the most unusual disguise—like one of us. To us. Jesus entered humanity and came near, the steepest descent ever recorded. From heaven to earth. Why did the Almighty God, Everlasting Father, Prince of Prince, and Wonderful Counselor come? He came to us and He came for us. Because we need Him– to be our King. Our Savior. Our Peace. Wonder of all wonders: Unto us a child is born. What surprises you about the way that Jesus came to earth? Spend a few moments thanking Jesus for coming near to us. Imagine if you were God- how would you have come to earth? Why do you think that Jesus came the way He did? Can you believe there are only 3 days left until Christmas? Wow! Have you ever wondered why God chose Mary? Consider her responsibility-give birth to and bring up the one and only Son of God! Just for starters, how do you discipline a child who is perfect? Let’s look at Mary’s credentials for such a job: a teenager (13-15 years old), quite poor, most likely illiterate, from a non-descript family and backwater village. Not exactly a head-turner. So what qualified her? One clear factor stands out: she was willing to say yes to God. She didn’t understand how it would work or see herself as “up to it”. She didn’t possess a “can do” attitude or mountains of self-assurance. She simply made herself available. Mary seemed to possess that rarest of qualities: the capacity to not make her life all about herself. She belonged to God and was eager to do what He asked. And for our God, who specializes in displaying His power through the “nobody specials”, that is more than enough. How willing are you to say “Yes” to God these days? What do you sense Him asking of you? Talk about what it might have been like to be Mary and to be asked by God to raise up baby Jesus. Why did God choose Mary? Welcome to the 4th Week of Advent! 13 Then Isaiah said, “Hear now, you house of David! Is it not enough to try the patience of humans? Will you try the patience of my God also? 14 Therefore the Lord himself will give you a sign: The virgin will conceive and give birth to a son, and will call him Immanuel. We like signs. Give us clear indicators of what lies ahead, an unambiguous portent of things to come. I remember trying to make a decision years ago about what college to attend- and I was looking anywhere for a sign: handwriting in the sky, a sign on the side of a bus, anything. Just tell me what to do, God, and I’ll do it! Except… I may not. Zechariah was visited by a real-life angel- and still didn’t believe. Ahaz, in this passage, was given a neon-bright, vivid sign, and still he didn’t trust God. The people of Israel were guided daily by a cloud and pillar of fire- and still they doubted. Just give us a sign, God, and we’re all yours. No more questions. In His graciousness and His unquenchable desire to be known, God still gives signs. Like a virgin having a baby. Or Jesus making blind eyes see and lifeless limbs move. Or Christ Himself nailed to a cross and walking out of a grave 3 days later. And God is still giving us signs that point to Himself: each sunrise, every rotation of the planet speaks of His glory and faithfulness. Every loving word and gracious act in the name of Jesus points back to Him. The best part is this: You can be a sign. A real one. Your life, if you’re willing, can be a signpost, aiming attention right at Jesus. Through word and deed, you can point the way. What are you saying with your life? What signs has God given you of His faithfulness and love for you? Discuss ways that God shows Himself to us in everyday ways. Talk about how we can be signs to point people to Jesus. Well, I missed posting yesterday and I’m late today, but here you go, if you’re reading these. and to enable us to serve him without fear in holiness and righteousness before him all our days. God always keeps His promises. While this might sound like a pithy, even cliché declaration, it is still truth. Important truth. But consider how long people waited for many of God’s promises to be realized. God told Abraham that he would have a child- and he waited for 25 years before a baby arrived. David was promised the throne of Israel- and waited 15+ terrifying, running-for-his-life years before that promise came through. Even the night of Jesus’ birth announced a promise- “Good news of great joy for all the people”. 33 years would pass before that promise reached it’s fulfillment through a cross—and an and empty tomb. So whatever you’re waiting for- and we’re all waiting for something- know that you’re in good company. 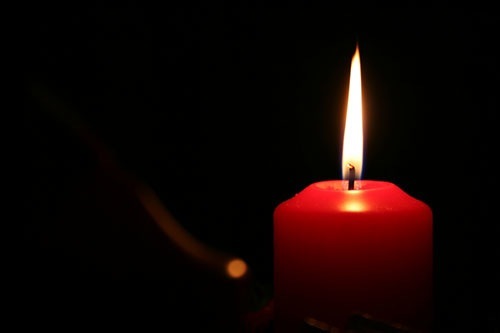 Advent is a poignant reminder of the place longing occupies in the life of God’s people. Waiting requires patient trust, robust hope, dogged anticipation. And choosing to remember— God always keeps His promises. What are you waiting on God for these days? What might God be doing in you as you wait? This spontaneous outburst of praise by Mary has been given several names: “Mary’s Song”, “Canticle of Mary”, or “The Magnificat” (from a Latin term meaning Magnify). Regardless of the title, these words of worship have been sung, spoken, and repeated for two thousand years. Considering that they were first uttered by a (most likely) illiterate peasant girl at the approximate age of 15, their eloquence and beauty is even more remarkable. But lean in close and notice the substance of this praise. Beyond God’s specific outpouring of blessing in Mary’s life, her worship is primarily focused on God’s great reversals. The proud and self-sufficient are lowered and humbled. Poor and hungry are raised up and filled. In God’s economy, powerlessness translates into divine strength; being kept down results in being raised up. How is this possible? Because this is the way of God. His power is most displayed when we have none of our own to offer. It seems that utter dependence, even desperation, is God’s preferred posture for us. And who better to understand that than a poor, unprivileged girl with no social standing and no prospects? Don’t you agree? Then why is it we work so hard to prove ourselves competent and need-free? It would seem we have much to learn from this young girl- and those like her- whose very lack enables them to experience God’s fullness in remarkable ways. When have you experienced the greatest dependence on God? How did He meet you there? Talk about how God’s strength is most visible when we are at our weakest. What a beautiful scene we witness here! Even apart from Elizabeth’s supernatural epiphany, we find in both women a posture of both humility and mutual celebration. Each had been recipients of- and conduits for- the blessing of God that would be for all people, for all time. Both were walking miracles. But notice the lack of comparison, the desire to bless and serve the other. Observe how they turn the spotlight not only towards one another but also towards the Giver of the gifts. See the way they love to rejoice in the good fortunes of another person. What a sharp contrast to our “selfie” obsessed culture, with our constant need to herald our own achievements- large and small. What if we took a cue from these godly women and learned the art of celebrating others above ourselves? What if we found rejoicing in God’s gifts to others did not diminish our joy but magnified it instead? What if, in the very act of noticing God’s goodness towards others, we were able to see His gifts to us even more clearly? What if? How well do you tend to notice and celebrate other people? Who is someone that you could rejoice in and with today? Take some time to celebrate each other- thanking God for the unique and wonderful things you see in one another. Talk about what that feels like.